What Sort of Funding is Right for you? Yesterday Philip together with Dale Williams (founder and MD of Yolk Recruitment) and a representative from Nat West's Debt Team took part in the panel section of "Investment: Busting the myths" at the Entrepreneurial Spark Hub in One Capital Square. 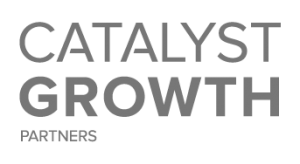 Philip has been invited to take part in the accelerator programmes investment panel event – Investment: Busting the Myths. Ashley has been invited to return to the judging panel for this year’s Wales Technology Awards. Ashley was invited to judge the Introbiz 2017 Pitch Event. In October, Ashley was invited to speak at the monthly Cardiff Breakfast Club event. Following on from the REAP project, BeTheSpark was launched in June 2017, with 300 advocates, across the five stakeholder groups, pledging support at a conference in Cardiff. Ashley was interviewed by Insider Magazine’s Douglas Friedli, to understand why the former aviation industry entrepreneur is at the heart of a network of investment and mentoring groups in Wales. Ashley took the position of Chair for the Venturefest Wales 2016 event. Following on from the 2015 record breaking Venturefest Wales the entrepreneurial ecosystem in Wales has changed. Ashley and Philip are two of the twenty leading figures in Welsh business that have joined forces to launch a new investment fund to help firms realise their high growth potential. In 2015, Ashley was invited to join a panel including leading entrepreneurs and academics from across five key stakeholder groups to lead a project with the Massachusetts Institute of Technology designed to boost entrepreneurship activity and give the Welsh economy a competitive advantage.